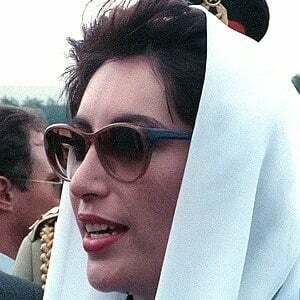 11th Prime Minister of Pakistan who, in 1988, became the first woman elected to lead a Muslim state. She was assassinated in a bombing in Pakistan after spending nine years in self-exile. She saw her father challenge the country's entrenched military leadership - and pay for it with his life and her freedom. She was elected Prime Minister twice and twice she was thrown out of office on corruption charges. 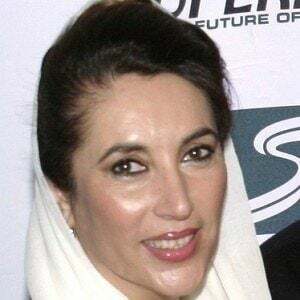 Her father Zulfikar Ali Bhutto was also a prime minister, and was deposed in a military coup. Like Indira Gandhi, she was assassinated by extremists within her own country.